A Despite popular misconceptions, hypnosis is a tool that allows a person to use more of their mind and to use it more effectively. Hypnosis is a state-of-the art tool for improving human performance. It is relaxed receptivity with increased perception, a state of deep relaxation that quiets the body and opens the mind to positive suggestions. Suggestions are received in a very relaxed and aware state to suspend the rational logical filters in the conscious mind that developed in response to the underlying causes of the issue at hand. Hypnosis removes the barriers and limitations we, as individuals, have placed on ourselves or allowed others to place on us so we can function more effectively. Any motivated person can learn visualization, positive self-talk, mental recall, relaxation, and breathing techniques and use them to overcome limitations to be successful. Q Can you make me do things that humiliate me, are dishonest, or are opposed to my personal value system? A Absolutely not. 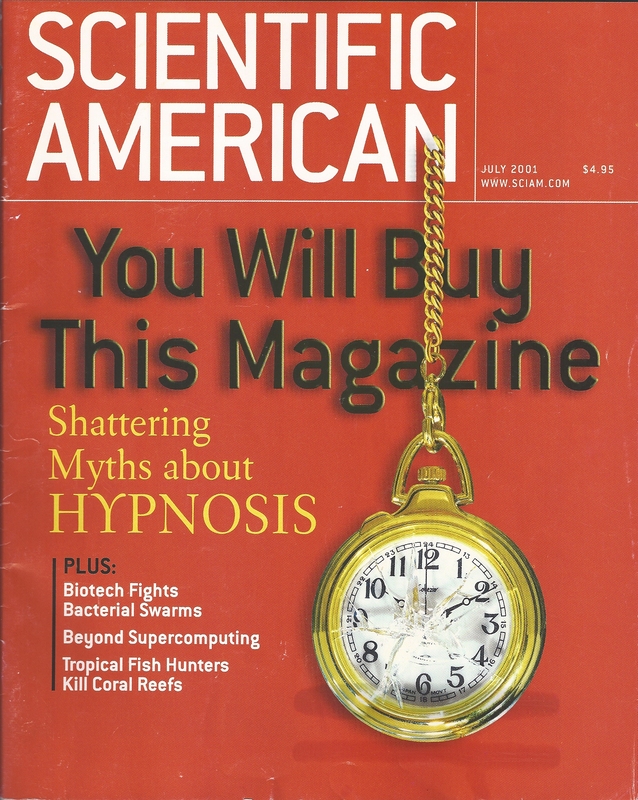 This is, perhaps, the biggest misunderstanding of the nature of hypnosis held by the general public and fostered by inaccurate and sensation-seeking media. The client is fully aware of what is transpiring at all times. Hypnosis is a state of deep relaxation, but with heightened awareness. You are in full control and can accept or reject hypnotic suggestions, as you wish. The hypnotist is bound by a strict code of ethics that restricts the suggestions made to those areas agreed upon with the client in advance. Q What are the components of a session with you? A At the beginning of the first session, we discuss the issues that motivated you to make your appointment. In our discussion, we crystallize the goals you would like to achieve, and we develop a plan to achieve them. The session culminates with a hypnosis experience to begin the amazing and fulfilling process of using the power of your mind to achieve success. Q What is age regression? A Age regression is a highly effective additional technique for uncovering and dealing with root causes to neutralize their effects in a more permanent way. Significant events in childhood or adolescence are explored through hypnosis. Q Can anyone learn self-hypnosis? A Often children are in a natural state of self-hypnosis. Therefore, it is easy to teach this technique to them. Adults, who can be somewhat more skeptical than children about the power of self-hypnosis, can learn this simple technique as easily as driving a car or riding a bicycle. Once they get the hang of it through practice, it will become second-nature to them as well. Q What does the state of hypnosis feel like? A You have a good imagination, don’t you? Pretend you are up late at night studying on your bed for an exam. You drift out of focus because you are tired of studying. The light next to your bed is still shining. Someone comes into the room and turns out the light. You are aware that a person is turning the light off; yet, you are in a “twilight” stage. The state of hypnosis may be experienced in a similar manner. However, during the hypnosis session, YOU ARE IN TOTAL CONTROL and can accept or reject what the hypnotist suggests. 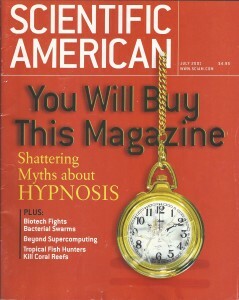 Hypnosis differs from sleep, in that you remain alert, aware, and open to performance enhancing suggestions. Q How easy is it to use self-hypnosis as a performance enhancement tool? A Have you ever arrived at your destination after driving on a short or long trip and realized that you didn’t remember the road signs you passed or the exits you used? This common phenomenon, called “highway hypnosis” occurs frequently to anyone who experiences a car ride. If you slip into a state of light hypnosis while a driver or passenger, imagine how easy it will be for you to glide into a comfortable, safe, and relaxing state of hypnosis under the guidance of your professional, certified hypnotist. The “tools” are much easier to learn than your sports activity, such as performing a takedown or hitting a home run. Q What part does the client play in performance enhancement at The Summit Center? A The programs at the Summit Center necessitate cooperation from the client. The client is required to participate in all levels of the program by consenting to follow the suggestions and have the experience. At the end of every session, each client is given an assignment to complete for the next session. These are designed to build up the basic skill levels of mental conditioning, step-by-step. Participation between the hypnotist and the client aids in the formation of a trusting relationship suitable to facilitate performance. Each private session accommodates the individual needs of the client. Q Is there a right or wrong way to do self-hypnosis? A No. everyone is different. People use their senses in the ways they relate to their world. For example, a visual person may “see” pictures of a skill he uses in basketball, like a jump shot. A musician may relate to her world primarily through sound, that attunes her to the music. The use of individual senses, as well as the use of a combination of all senses, will assist performers to gain confidence and improve skills. There is no right or wrong way to attain success. A The alert state of hypnosis can help you to finely tune your focus and concentration, while at the same time, relax your muscles to be ready for action. This relaxation is called “muscle readiness.” The skills learned in our program will not only assist you in winning, but can also aid in reducing the chances of injury. Skills like mental rehearsal can assist you to maintain physical status while off the playing field, if you should sustain an injury.